We talk a lot about leadership here at Timberlake, and how leadership opportunities help our boys grow. One of the most prestigious opportunities a camper can have is to become chief of his tribe, an honor and responsibility bestowed upon him by his peers. Keeping in touch with former campers and staffers is one of the best parts of my job and I recently got the chance to ask a good friend and Timberlake alumni, Cody Anderson, about his experiences serving as Seminole chief. Cody, now 21 is a junior at Appalachian State University, was a camper for 5 years and Chief for 2 years. Here’s what he had to say! What was the most challenging part of leading your tribe? The best part? What made you want to be chief of your tribe? The Seminole’s were not doing very well and there was not much leadership, so I guess I wanted to do my best to fix that. What do you feel like you learned from leading your tribe at camp? I learned that you can’t please all of the people all of the time, but as long as you keep doing your best to do what is right, it all ends well. Today I am currently the Water-Based Programmer for the University Outdoor Programs. I also lead trips (caving, rafting, backpacking, kayaking) through ASU OP. This past summer I worked as a raft guide on the Upper and Lower Animas River in Durango, CO, and was given the amazing opportunity to guide the Colorado River through the Grand Canyon with the Grand Canyon Dories. Tell me a little bit more about that Grand Canyon trip. The Grand Canyon was one of the most amazing, most challenging experiences I have had so far. I learned so much about boating, geology, ecology, and mainly, about how much I have to learn! I was on the clock 24/7 for 16 days, rowing an 18’ gear raft alone through all 294 miles, dam to dam. What an adventure it was! How do you feel that your time at camp prepared you to lead in these other areas? Camp taught me a great deal about who I am, through both positive and negative experiences. Camp showed me ways to healthily recreate, which is one of the most humbling things someone can do. Camp also showed me the impact that one person can have on another, teaching me how to interact & work with others, which are two of the most important skills a leader can have. What was your favorite Evening activity? Favorite camp meal? Easy, Battleball & taco in a bag, duh. The love the counselors show for each other and the campers. 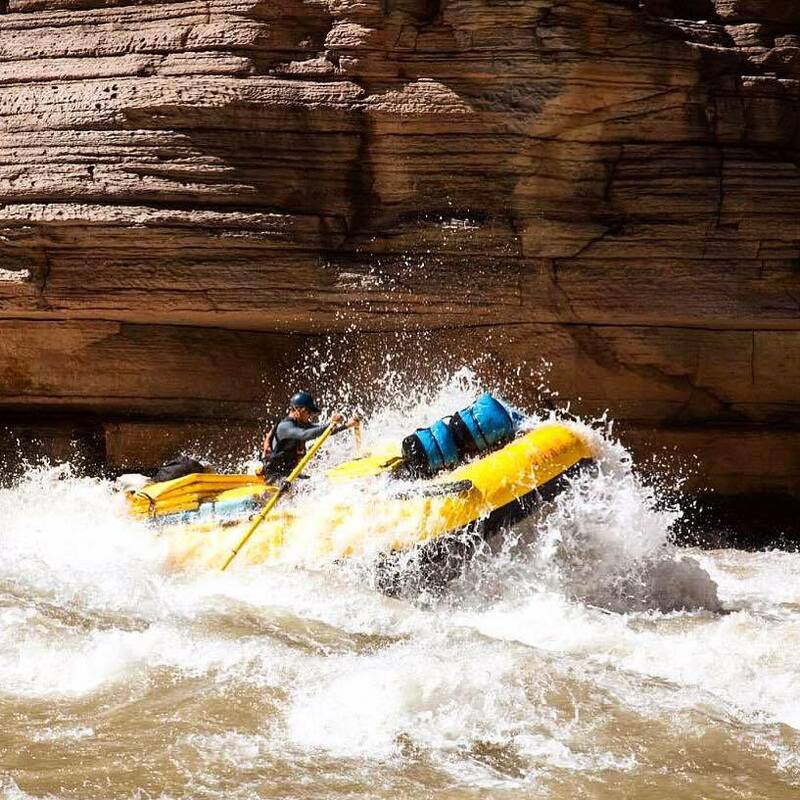 To put some of what Cody said in perspective, he plans all of the waterborne trips for App State (a school of 18,000) University Outdoor program, and he was solo rafting (picture above) an 18 foot gear raft for 16 days, 284 miles down the Grand Canyon! To say that I’m proud of Cody would be a major understatement. I’m thankful Cody is a part of the Timberlake family, and thankful that we at camp get to play a part in preparing these fine young men for the amazing adventures that await them!